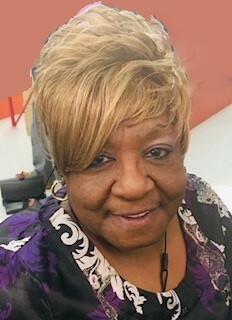 Obituary for Nioke E. Dixon | House of Wheat Funeral Home, Inc.
DIXON, Nioke E., age 70, of Dayton, born March 9, 1949 in Hamlet, North Carolina, passed away April 6, 2019. She attended Roth High School. Nioke loved to cook and sew. She loved to laugh and joke, even while sick, was known for always giving advice, and never met a stranger. She retired from Womanline of Dayton, Inc. where she loved to work with young pregnant girls to help them care for their newborns. She is preceded in death by her parents, Henry and Mattie Dockery; stepson, Torrance Smith; husband, Woodrow W. Dixon. She leaves to cherish her memory her sons, Anthony L. Green (Shona), Fletcher L. Green (Ericka); daughters, Niosha M. Scroggins (John) and Nathana Dixon, all of Dayton; sister whom she loved dearly, Diane Dockery of Brooklyn, NY; childhood best friend, Loretta Lopez of New Jersey; grandchildren, Taylor Fleming, Chad Green, Lakeisha Green, Anthony Green Jr., Cheryl Green, Italy Green, Devin Green, Jayden Glass; seven great grandchildren, a host of nieces, nephews, cousins and friends. Funeral service will be held 10 am Friday, April 12, 2019 at New Destiny Ministries, 5350 Denlinger Rd. Visitation 9 am at which time family will receive friends. Arrangements entrusted to House of Wheat Funeral Home, Inc.